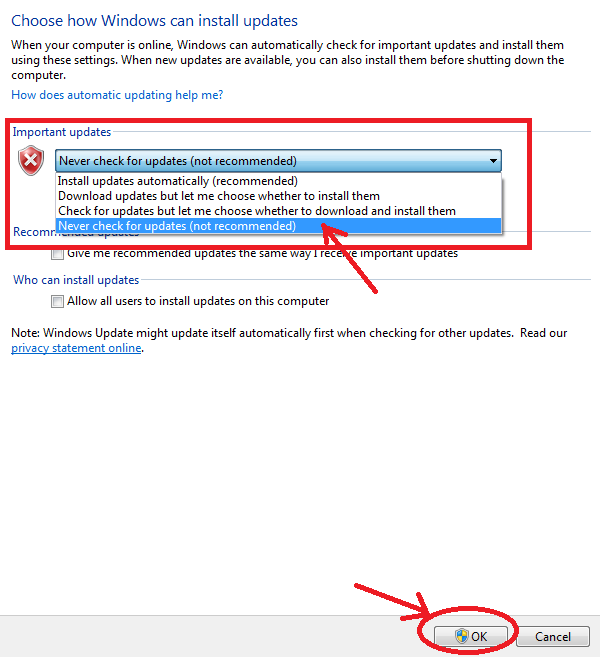 Disabling annoying Microsoft updates is as easy as 1 2 3! Click on Start and then go to Control Panel. 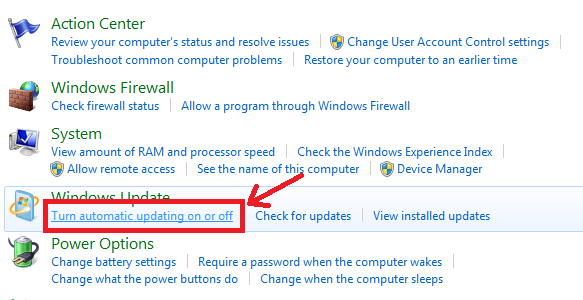 Click on Turn Automatic Updating On of Off under Windows Update. Under Important Updates, select Never Check for Updates (not recommended). There you go! No more annoying Microsoft updates especially before your PC shuts down. If you want to enable, you may do so. Just follow the steps above and on Step 4 you may choose whatever setting you prefer. I hope this article is of great help.